Case Study: In-Situ Truss Reinforcement | R.E. Warner & Associates Inc. There is sometimes a misconception that routine engineering projects require plug-and-play solutions. However, in our experience, even these often present situations that require creativity. 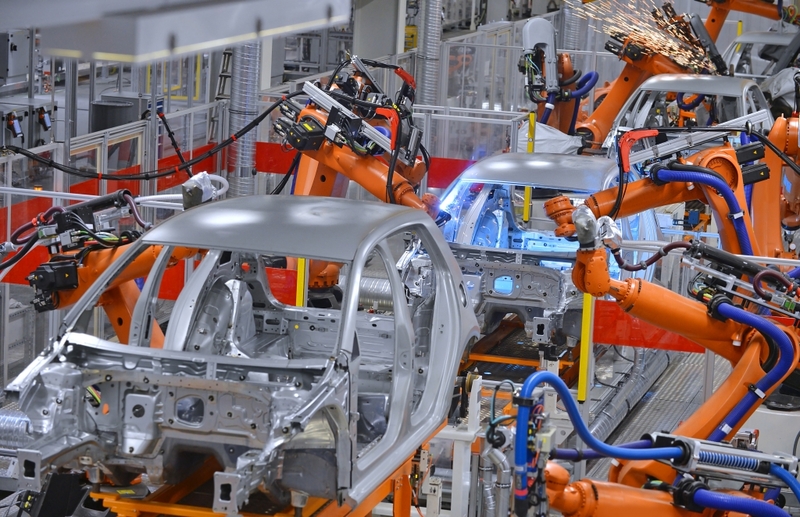 For example, one of our Automotive and Manufacturing clients is expanding an existing line. In order to expand the line, existing trusses and jack trusses require reinforcement in order to install an extension to conveyors hung from the trusses. Our structural designers have developed an in-situ reinforcement solution in order to simplify the design and avoid removal of loads prior to reinforcement. The design also reduces the total weight of steel required to reinforce the trusses. Where reinforcement is required for the existing truss members, the solution calls for the design a new member cross section (existing plus reinforcement) without consideration for existing member stresses. As allowed by strength design, it is assumed the new section is capable of developing the full plastic capacity of the new built up member cross section. This assumes adequate connection of the reinforcement and not decreasing the radius of gyration to less than 85% of the existing radius of gyration. The expansion is moving forward and this solution has saved the client cost and hassle. Furthermore, while this method of reinforcement is now a common practice, this particular client’s staff was not familiar with it, so we were glad to be considered a partner in the project and able to provide recommendations for the design.